Ms. Nakamura Masae, better known by her maiden name Kasai Masae (河西昌枝), a volleyball player from Nango (present-day Minami-Alps), Yamanashi, passed away from intracranial hemorrhage at a hospital in Tōkyō at 0:30. She was 80 years old. 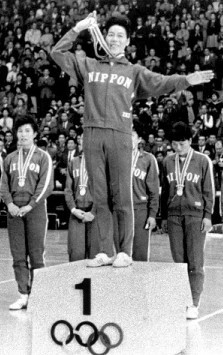 She was captain of the women's national team that won the gold medal at the 1964 Summer Olympics.